iomart provides highly available, managed private cloud for the world’s leading provider of passenger and fleet connectivity solutions to the railway industry. Nomad Digital is the world’s leading provider of passenger and fleet connectivity solutions to the railway industry. iomart consultancy SystemsUp helps leading UK law firm move to Microsoft Azure. "They’ve been fundamental to every aspect, architecting it with our internal team and understanding us as a business as well as a team to make sure we’re getting it right. They’ve also helped us with the sheer scale of Azure." Farrer & Co LLP is one of the UK’s most historic yet also one of the most innovative legal practices, with an ongoing commitment to innovate and embrace technology to deliver superb client service. iomart provides a private cloud solution that includes DDoS protection and Disaster Recovery for commercial property risk management specialist S2 Partnership Ltd.
“What we get from iomart’s private cloud solution and anti-DDoS service is the visibility and scalability our clients need, without compromising on security." S2 Partnership provides specialist health and safety risk management services within real estate, including risk assessments, auditing, training and software. S2’s market-leading RiskWise risk management software ensures visibility and management of risks. "There are some customers we could not have sold our software to without having iomart’s cloud supporting it." Exel Computer Systems plc is a leading force in the provision of integrated business solutions for manufacturing companies and field service providers. iomart provides Redweb with secure and scalable private cloud for its clients across the public, private and third sector. Founded in 1997, Redweb is one of the UK’s leading digital agencies. Based in Bournemouth and London, Redweb combines commercial nous, creative flair, meticulous testing and technical ingenuity to create robust and future-proof websites and bespoke web projects for leading clients across a wide range of sectors. Pernod Ricard is the world co-leader of the wines and spirits industry. 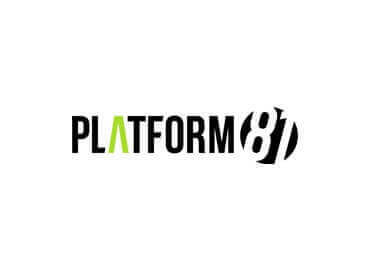 It operates through affiliates in 80 countries and employs over 17,000 people. Driven by an entrepreneurial approach, Pernod Ricard continues to expand into new markets by remaining focused on value creation, innovation and a strong sense of ethics. “Most of our customers are looking for hybrid solutions because they don’t have the in-house expertise to manage cloud. With iomart behind us, we can meet their expectations." CommPoint IT provides managed services, cloud computing, Internet connectivity and VoIP telephony solutions to organisations across the south east of England. iomart provides MMR IT with a private cloud that meets the security requirements of its financial and legal services clients. MMRIT delivers high quality and fully managed IT services to companies in the financial and legal services sectors in London. Its customers include hedge funds, alternative investment managers, barristers’ chambers and law firms. Established in 1870, British Red Cross is the United Kingdom branch of the worldwide impartial humanitarian organisation the International Red Cross and Red Crescent Movement. 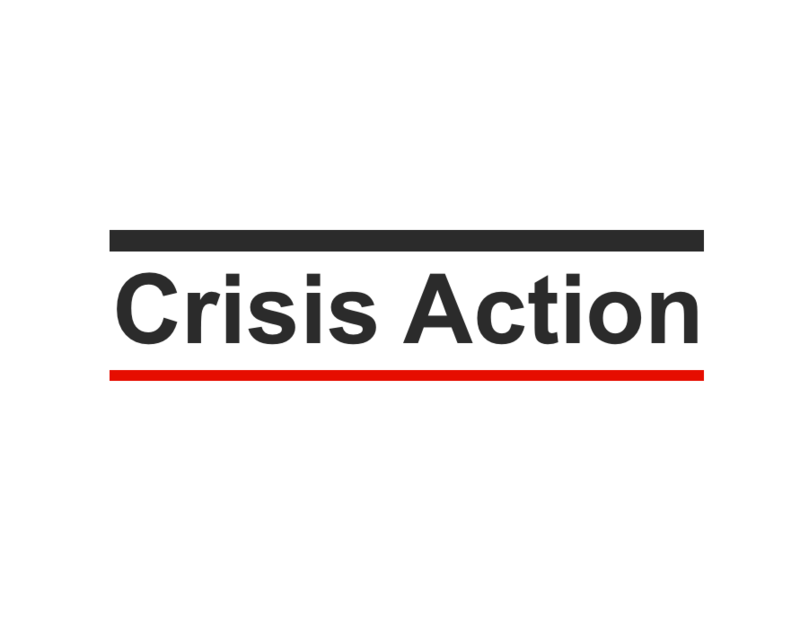 Its mission is to help people in crisis, whoever they are and wherever they are. “There’s an underlying professionalism at work with everything we do with iomart. This has provided an important level of reassurance for our auditors, our insurers and our customers." Misys plc (FTSE: MSY.L) is a global market leader delivering application software and services for banking, treasury and capital markets. Employing more than 4,000 people, the company serves 1,300 customers in over 120 countries, including all of the world’s top 50 banks. The Borough of Poole wanted to go ‘cloud first’ and reduce IT costs while at the same time improving its service delivery. It achieved immediate savings of £60k and projected savings of £750k by working with digital transformation specialists SystemsUp – an iomart company – to plan a ‘cloud first’ approach using Microsoft Azure StorSimple. LabVantage Solutions, Inc., is the leading global laboratory informatics provider headquartered in New Jersey, U.S.A. It provides LabVantage, a highly configurable, web-based LIMS that powers hundreds of laboratories globally, large and small. Mvine supply cloud-based portals and mobile apps that transform the way organisations and people collaborate online. It develops software products and services which bring users, content, data and applications together to deliver new digital experiences. iomart’s dedicated hosting specialist RapdSwitch provides a secure and fully compliant data centre environment for Mvine’s software. Multiplay is a gaming services company with an exceptional reputation for multiplayer games hosting. Owned by retailer GAME it also stages hugely popular live gaming events such as the annual Insomnia festival. iomart brand Rapidswitch provides Multiplay with dedicated hosting for the UK and Europe. 200,000 retail outlets in more than 80 countries. Bespoke and secure cloud environment compliant for UK Government Official Sensitive classification. “With iomart's partnership, we were able to strengthen our infrastructure model within the UK, enabling us to provide various solutions that meet UK Government regulatory compliance." Exostar is a leader in identity access management and secure enterprise cloud solutions that mitigate risk and improve collaboration, information sharing, and supply chain management. “Office 365 is a natural progression for us. 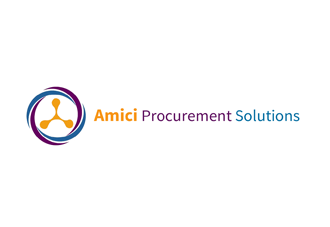 We are a specialist in providing procurement services not hosting and we had got to the point where it didn’t make sense to keep diverting resources to maintain and backup a server anymore.” Caroline Briggs, Managing Director, Amici Procurement. Amici Procurement provides small to medium-sized companies in the bio-tech sector with a unique procurement service to help them obtain best value. It supports companies with all aspects of the purchasing cycle, from negotiating complex contracts with multi-nationals to simplifying the ordering and invoicing process for products. iomart helped Amici Procurement to move to Office 365. As well as managing the migration and set up of Office 365, iomart also manages the licensing and billing for the business. Barton Willmore is the UK’s leading integrated planning and design consultancy, specialising in the planning, design and delivery of sustainable, dynamic, progressive and commercially viable projects from small country housing developments to city centre skyscrapers. iomart’s dedicated hosting specialist RapidSwitch migrated Barton Willmore’s servers and SAN storage to its Maidenhead data centre where it provides the consultancy with fully managed hosting, leased lines and hardware procurement. English National Ballet is the UK's premier touring ballet company, its raison d'être being to perform the highest quality ballet at prices everyone can afford. "We now have a super-fast network that connects all our outlying offices with our headquarters, allows members quick access to our vast archive of horticultural information and images, protects their personal details and keeps us online 24 hours a day." We’ve helped the Royal Horticultural Society (RHS), the world’s largest gardening charity with over 400,000 members, to create a secure, resilient and scalable IT infrastructure to meet the online demands of its growing global membership and its staff. RHS turned to us after deciding its historic central London headquarters, the Royal Horticultural Halls in Vincent Square, Westminster, were no longer suitable to act as the charity’s data centre. performance VMware solutions and its Enterprise infrastructure to build a hybrid cloud platform for RHS in its secure London data centre. The main RHS website which provides gardening advice, horticultural research and tickets to RHS events is supported by our CloudSure platform which allows capacity to be scaled easily and quickly in the event of spikes in traffic. The RHS’s internal systems sit on a large secure, private cloud. "Skyscanner is a technology-focused business and our service is reliant on the stability of our datacentre equipment. iomart Hosting's datacentre team has a no-nonsense, can-do attitude to support." Skyscanner is Europe’s leading travel search website, specialising in cheap flights and deals on over 600 airlines, as well as prices for car hire and hotels. Visits to the Skyscanner website have increased massively year on year and to cope with this huge and ever-growing demand for its service, Skyscanner required first class IT Infrastructure support to assist it aggressive growth. Skyscanner’s cloud platform is housed in iomart Hosting’s data centres, where entire floors are provisioned with high power racks in cold aisle containment with dual A+B feeds to each rack. Skyscanner is focused on rapid expansion in existing and new markets with the objective of becoming the number one flight search engine in the world. "iomart Hosting ensures that the website can deal with the battering it takes at times like this when there are huge fluctuations in interest." The Joseph Rowntree Foundation is a charitable trust that inspires social change by publishing the latest research into social issues, poverty and ageing in the UK in order to influence social and economic policy in the UK. All of the research carried out for the Joseph Rowntree Foundation is published and then archived through its main website. The Joseph Rowntree Foundation publishes around 100 reports a year online, most of which are between 20 and 30,000 words long. Every July it releases its most influential report ‘A Minimum Income Standard for the UK’ which needs to be accessed quickly and securely by thousands of journalists, academics, MPs and other opinion-formers. JRF uses iomart hosting to support an increasingly diverse digital portfolio. Round-the-clock customer support and key account management are vital to the relationship. 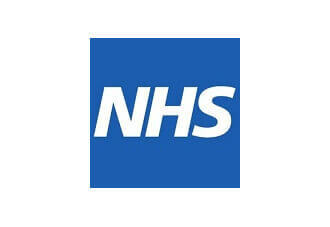 NHS South London Commissioning Support Unit (CSU) provides an extensive range of business and contracting support services to a wide range of NHS organisations across London and Surrey. iomart’s public cloud consultancy SystemsUp carried out strategic planning for a SAN migration. We started out by using iomart mainly for colocation for our testing but we were then asked to set up an operational infrastructure service for the CMA which included hosting a private cloud and backing that up in a secondary data centre. Bridgeall is an independent IT consultancy and software development company that partners with Microsoft to deliver high-value solutions to its clients. One of Bridgeall’s major long-term customers is the Central Market Agency (CMA) which administers the market for water and wastewater retail services in Scotland. The CMA is at the hub of the competitive arrangements and Bridgeall supports the computer systems that run the market on behalf of the CMA. 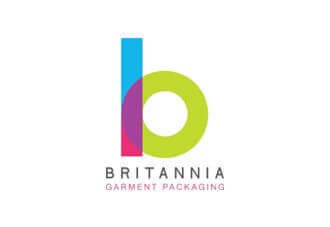 Britannia Garment Packaging is a trusted supplier of labelling and packaging solutions to the global garment industry, including some of the industry’s biggest retailers and most famous brands. It turned to iomart to provide cloud and managed hosting to support a global ERP rollout. 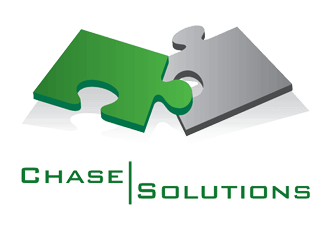 Chase Solutions is a successful field services company based in Blackburn, Lancashire that works with utility companies, banks, debt purchase companies and debt collection agencies across the UK to contact and then help customers who are struggling to pay their bills. Chase Solutions turned to iomart because it wanted a flexible Hosted Desktop solution that was fully compliant with the exacting data standards required by its biggest clients and regulators. 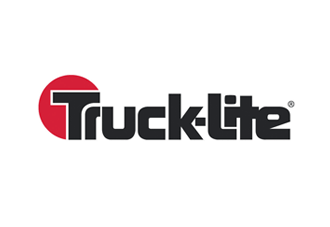 Truck-Lite is a global leader in the design and manufacture of lights and mirrors for the Automotive and Commercial Vehicle Industry. Its European operations are housed at a large state-of-the-art testing and manufacturing site in Harlow, Essex while another site in Birmingham in the UK manufactures specialist mirror systems. iomart provides a fully managed private cloud, network hardware, connectivity and backup with high availability and strict SLAs for Truck-Lite’s ERP system. HospitalityGEM is the UK’s leading expert in Guest Experience Management. It works with some of the best known hotels and restaurants, sending in mystery guests to have a typical experience and then analysing the feedback and producing reports for its clients. HospitalityGEM turned to iomart’s CloudSure solution because of the limitations of the dedicated solution it had been using. With CloudSure the business now has a fully scalable cloud solution that supports its in-house bespoke software and it is no longer wasting computing resources. 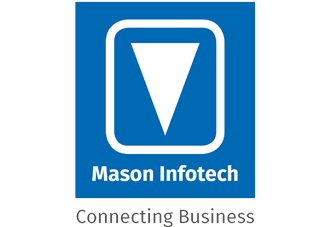 Mason Infotech is a specialist in Unified Communications, providing the IT infrastructure alongside communications products and solutions to help organisations communicate in the most effective way possible. It uses iomart’s Nottingham DC to provide the secure data centre space it needs to manage both its own and its customers’ IT requirements. Aspidistra Software produces a unique ecommerce system integrated to the Sage range of accounting and business management software in the UK. It has over 120 customers in the UK and Ireland and runs over 150 distinct websites delivered in a number of different languages for a diverse range of industries. Until 2011 Aspidistra leased a large server to provide shared hosting for its customers. However the business was growing quickly and needed a new solution that was more scalable and would allow different customers to consume more or less resources without impacting on each other. Virtual Machines (VM) in a public cloud was selected as the technical solution and Aspidistra tested one VM from a shortlist of three suppliers. It installed its software, tested the performance and evaluated the support from each supplier. iomart came out top and an initial order was placed for 30 virtual machines. iomart supplies all Aspidistra’s customer-facing hosting including cloud backup, disaster recovery and remote desktops. "The iomart team invested a huge amount of time and effort to understand our business and the challenges we face, through regular site visits and assessment of our existing estate." office2office (o2o) provides managed procurement and business services to the corporate, mid-market and public sectors, including the UK Government. o2o’s business service offering includes secure destruction and managed communication and logistics. The company, which is listed on the London Stock Exchange (OFF:LSE), employs almost 900 staff across the UK and Ireland. The o2o group brands include Truline, Banner Managed Communication plus Accord and Banner Business Services Limited, which was originally part of Her Majesty’s Stationery Office (HMSO). Originally o2o’s IT was focused around a single set of offices and one server room in Norwich – a legacy of its days as part of HMSO. However a series of acquisitions over the last few years saw it grow to such an extent that it accumulated offices at several different locations across the UK creating an IT environment that was extremely fragmented. A large migration was undertaken which involved moving over 200 servers into iomart’s London data centre. The resulting group-wide virtualisation has vastly reduced o2o’s server hardware. There is a large VMware platform with built in backup, which provides the group’s DNS services, Active Directory plus SAN storage. "When you’re hosting global websites for major brands and hedge funds, as we do, any kind of blip damages them and damages your relationship with them, no matter how faultless you’ve been." Decibel Technology is an enterprise software development company based in Silicon Roundabout, London and part of the wider Decibel Group which specialises in digital customer experience (CX). It built Decibel Core, a platform for in-house development teams to develop secure websites, web applications, single page applications, APIs and hybrid mobile applications. iomart provides Decibel Technology with a VMware-based private cloud platform with dedicated switching and firewalling plus storage via iomart’s EMC VMAX SAN and EMC Avamar offsite backup. "By utilising iomart Hosting's disaster recovery facilities, the learndirect team can fully concentrate on delivery to their learners without worrying about uptime and service interruptions." learndirect provides online training to more than 240,000 individuals each year as well as businesses across England, Wales and Northern Ireland. learndirect has its own in-house operations and service delivery teams to manage the technology and the platforms on which courses are delivered. iomart Hosting is providing s providing a fully managed colocation service for learndirect’s operators Ufi Ltd, to deliver Disaster Recovery for its main IT services. "Users of Questionmark's European On Demand service want to know that their data is stored securely and that the data centre in which it is hosted is fully resilient and meets data regulations in the UK and Europe." Connecticut based Questionmark, is one of the world’s leading providers of assessment management technologies. The company required a private cloud infrastructure with dedicated network firewall to ensure data integrity for its European OnDemand customers and iomart Hosting was selected. Eric Shepherd, CEO of Questionmark said: “Questionmark’s European assessment cloud reflects our commitment to meeting the needs of our many European and global customers for whom compliance with EU data privacy and security directives is paramount. The company’s European-based OnDemand service complements Questionmark’s existing OnDemand services, which have been available globally for several years in compliance with the US-EU Safe Harbor program via a US-based Cybertrust-certified, SSAE 16 audited datacentre. iomart Hosting’s data centres are ISO: 27001 and ISO: 9001 accredited and fully compliant with the relevant requirements of PCI DSS v1.2. They have full intrusion protection and fully disclosed technical staff and are operational round-the-clock 365 days a year. "The transition to iomart was very smooth.. We experienced no downtime or problems during implementation." QA Software develops information management solutions for the Architectural, Engineering and Construction (AEC), Utilities and Oil & Gas industries. The Software as a Service industry leader has worked on thousands of projects world-wide and its UK office in London is supported by a strong research and development team and a network of international resellers throughout Europe, the Middle East, Asia and Australia. The project data QA Software hosts for clients’ projects is mission critical to the company and its partners. QA Software wanted to move from its existing hosting provider because its platform was coming to the end of its life. The successful and growing company needed a fully upgraded and more powerful solution combining speed of application and SQL data base, resilience and capacity, with disaster recovery. QA Software went to market and picked iomart for the mix of managed and colocation services it needed based on a combination of cost, flexibility, 100% uptime and proximity. The full upgrade, redesign and migration of the QA Software platform was completed in four weeks. As a result of the move to iomart QA Software has been able to concentrate on delivering the highest quality document control services via the Cloud to customers around the world. The Medical Appraisal & Revalidation System (MARS) is the ground-breaking appraisal website for all doctors working in Wales. It was created by Wales Deanery, which is the School of Postgraduate Medical and Dental Education at Cardiff University, in conjunction with the Welsh Government. MARS is a major mission-critical project designed to meet the General Medical Council (GMC) requirements for revalidation and provides one standard I.T. system for medical appraisal and revalidation in Wales which is accessible, reliable and meets all relevant data and compliance regulations. 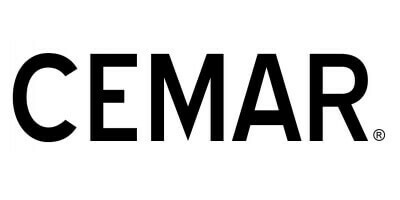 "iomart’s knowledge and appetite to deliver, combined with our in-house development team and contract expertise, ensures CEMAR remains highly available, fast, secure, resilient and flexible for our clients." CEMAR is the online Contract Event Management and Reporting tool for NEC3 and other forms, administering some of the UK’s biggest infrastructure portfolios. Following a successful and independent due diligence exercise under ISO: 27001, iomart was chosen to assist with the design, build and ongoing management of its new hybrid cloud solution. create a better world through education. hosting for a growing number of clients with Magento websites. "Having a bespoke IT infrastructure built and managed by iomart means we can crack on with designing and building websites. They’re real experts at what they do and give us that second tier of support that’s vital for a growing agency like us." solutions, graphic design, digital marketing and brand identity.